11.5 x 15 cm; 1 bill; double sided; 1 stamp; paper; white, black and red printing, green stamp. 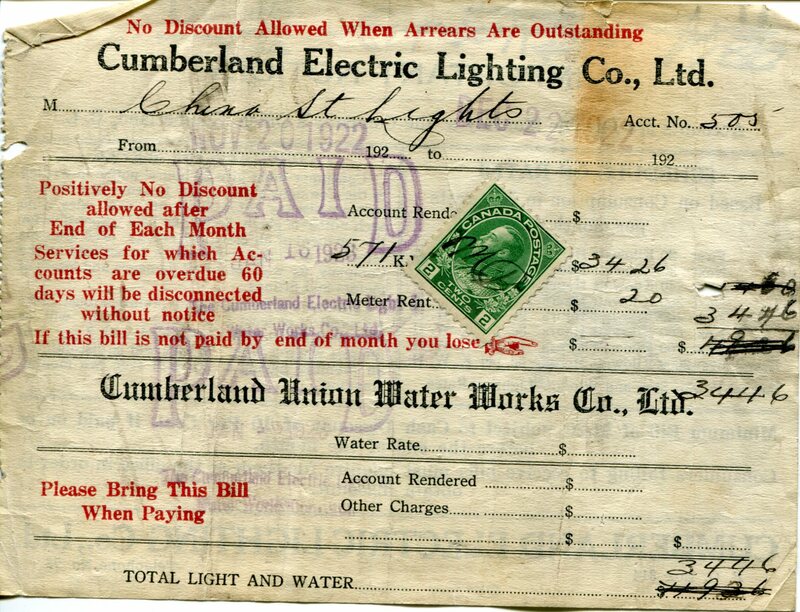 This lighting bill is from Cumberland Electric Lighting Co. Ltd on China Street, Cumberland B.C. for $3446; account Number 500; Date: November, 20, 1922 –December, 22, 1922.